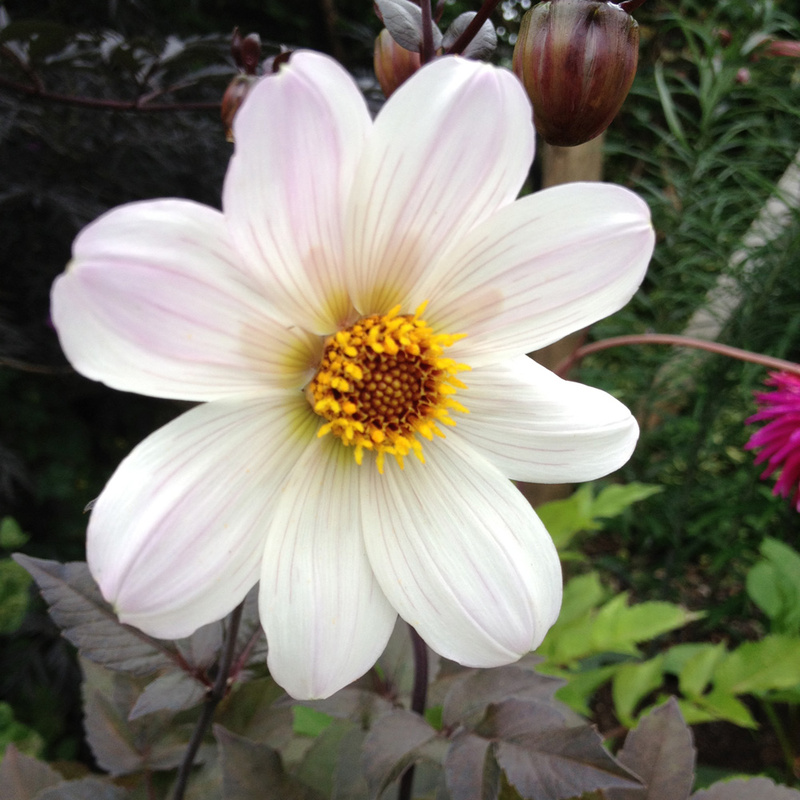 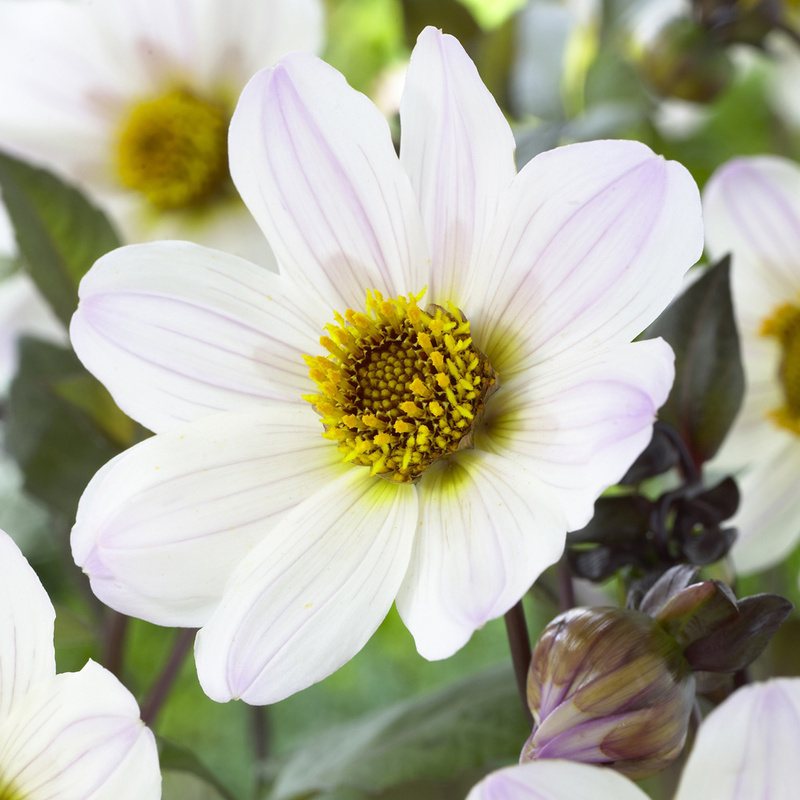 Dahlia Bishop of Dover has striking dark foliage which ehance the wonderful white flowers that are produced from June to October. 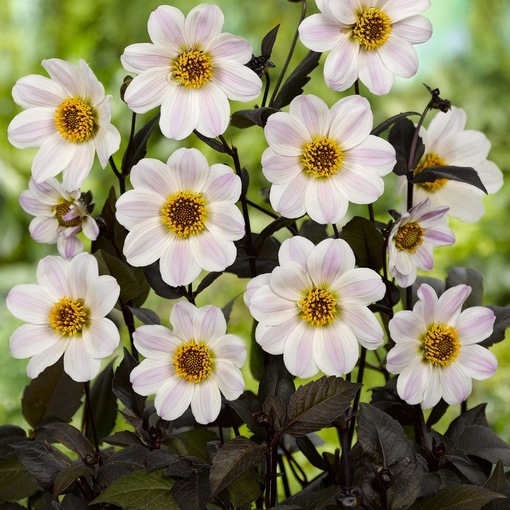 The flowers have a slight hint of lilac through the petal and cheery yellow centres. 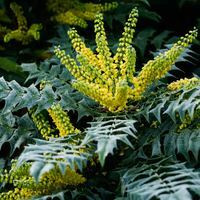 The single open nature of its blooms make it an excellent late source of nectar for bees and butterflies, and other pollinating insects. 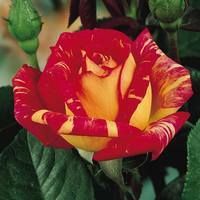 It's perfect for cutting, deadhead regularly and feed with a potash-rich fertiliser to prolong flowering. 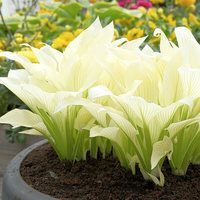 They prefer to be in a sunny location, and look superb in pots on the patio or in a sunny border, where they will grow to heights of between 60-70cm. 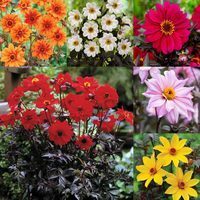 We supply top grade tubers.